Snow white flowers have given way to deep green leaves as crop progression moves forward throughout the state. 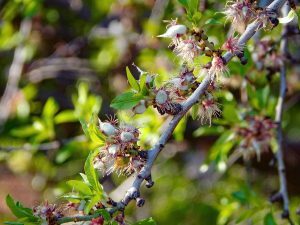 Nutlets are beginning to break through their protective jackets, while earlier blooming varieties are starting to shed their excess nuts. 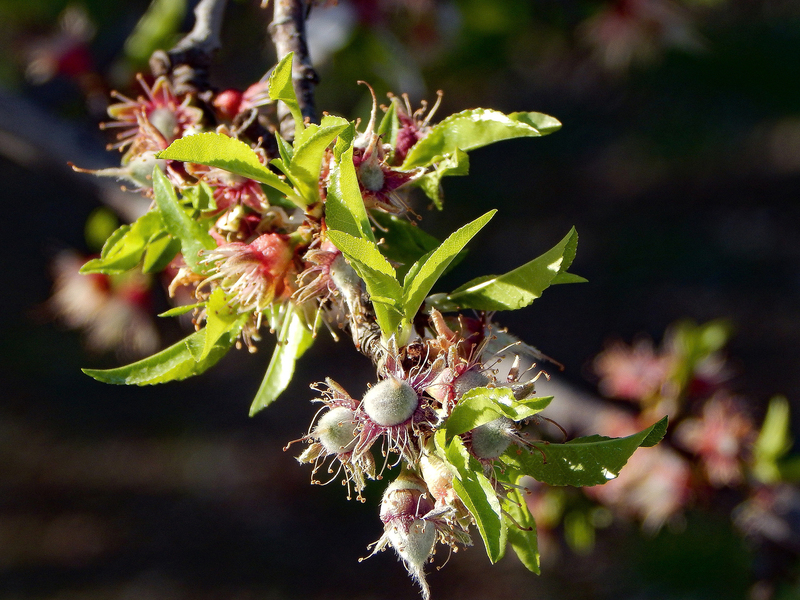 What little bloom was left for last week was limited to a few Butte and Padre orchards in the West Sacramento Valley that concluded by the weekend. It is too early to predict crop potential for this year. Though bloom weather was not ideal, some growers remain optimistic. 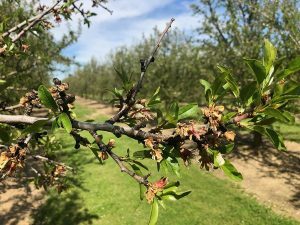 “I would be more pessimistic about the potential for this year’s crop, if we hadn’t set good crops the last two years, despite the inclement weather,” said Blue Diamond Board Chairman and Chico area grower Dan Cummings. As Cummings note’s, the last two years have had less than ideal bloom weather, from heavy rains from two years ago or below freezing nightly temperatures last year. Yet, both years the almond industry managed to set a crop. It will be hard to tell if that will be the case again this year until the Nonpareil and its pollinizers begin to shed their excess crop in a couple of weeks. After high winds and a few clouds at the beginning of last week, skies cleared, winds calmed, and temperatures rose. 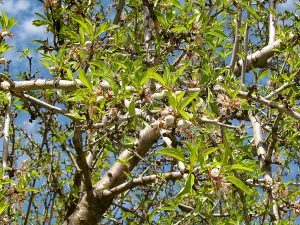 This almost ideal weather is important as it supports leaf growth to help feed tiny nutlets, hopefully allowing more to set on the tree. 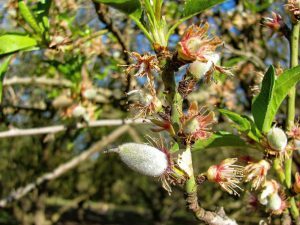 The cold, wet weather throughout the whole of bloom did cause some disease in all areas. Both bacterial blast and fungal diseases have been observed on a limited basis throughout California. The extent of the damage is not expected to have a significant impact on the overall crop size.